amazing blessings God has bestowed on Grace Mission and what a privilege it is to be part of God’s work. we continue to look for opportunities to help ‘the least of these’ in our midst. That statement summarizes much of what we striveto do while we put our faith and trust in the Lord. God’s dream for help, healing and hope within the City of Tallahassee. Mother Teresa once said, “We think sometimes that poverty is only being hungry, naked and homeless. 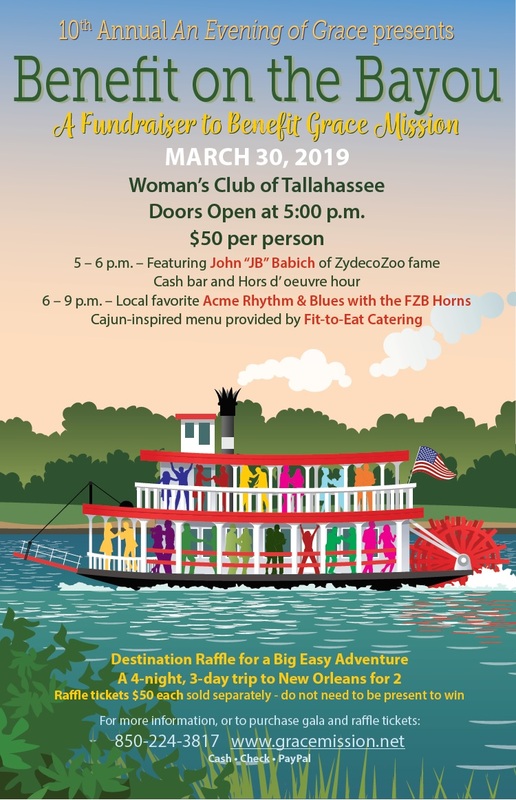 This year's event takes on a special theme, "Benefit on the Bayou," transforming the Woman's Club of Tallahassee into a lively bayou setting featuring a cash bar and a Cajun-inspired menu. The event will be fun, casual, and an all-out good time! We have great entertainers coming and wonderful food from a local food vendor. Please come and support Grace Mission serving those in need for the past 23 years. Tickets are $50.00 each. Cash, Check or PayPal. 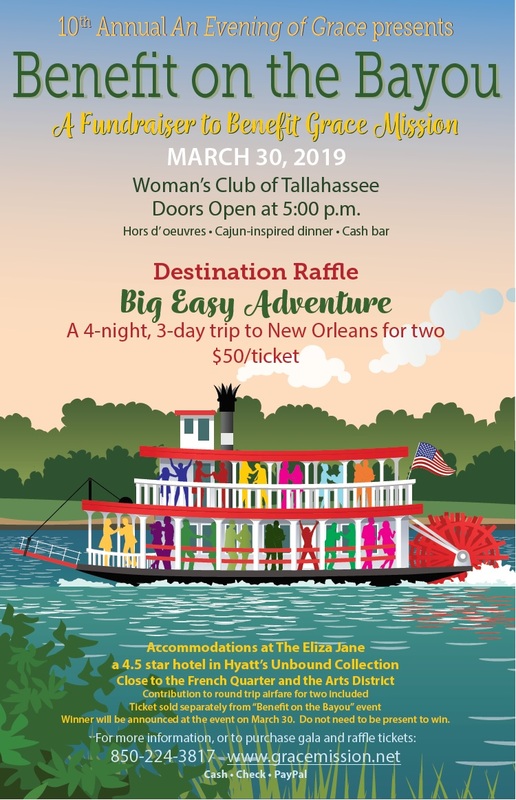 The Big Easy Raffle (a trip to New Orleans) is a 4night-3day stay for two at the Eliza Jane Hotel close to the French Quarter and the Arts District. Round trip airfare for two is included. Tickets are $50.00 each. Cash or Check only - pay at Grace Mission - 303 W. Brevard St. Please call us at 224-3817 if you have further questions. We were excited this January 2019, to celebrate with Grace Mission S.O.A.R. 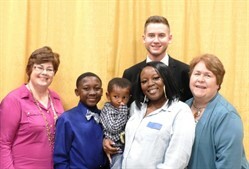 student Ke’marion Bostic who was honored as a Martin Luther King, Jr. “Dreamer and Doer.” Ke’marion has been mentored by Grace Mission’s after-school program, his family church, and his parents to be a kind and loving young man. Ke’Marion is described as being friendly, compassionate, fun to be around, and an all-around great guy who stands up for the underdog. He is an excellent student role model, enjoys playing the drums and baseball, and dreams to serve his community as a Firefighter or State Trooper. Grace Mission’s staff and volunteers are very proud of him and all of our students that are growing and developing into loving and wise young individuals that will pursue their dreams. The relationships that are forming between our church and students are filled with love through support, conversations, attention, resources, care, and encouragement. Your efforts to support the S.O.A.R. and LAUNCH programs throughout the year are greatly appreciated and we thank you from the bottom of our hearts, we love you!